Media reports are telling the story of a Diversey Harbor boat owner who returned to his vessel early Friday only to discover that someone had been living in the boat for several days while he was out of town. "This guy," sources have informed CWB, is a 24-year-old man who has listed both the Howard Brown Health Center and local youth shelter The Crib as his home addresses during arrests. Terry L. Mikkelson Jr. failed to appear in court this week on one of those charges and a new count of escape was filed against him Friday morning. In April 2014, using the alias James Castillo, Mikkelson was arrested and charged with reckless conduct after he allegedly ran from police who wanted to question him about 911 calls of a suspicious person walking into buildings in the 3500 block of Reta--the same block that is home to The Crib. 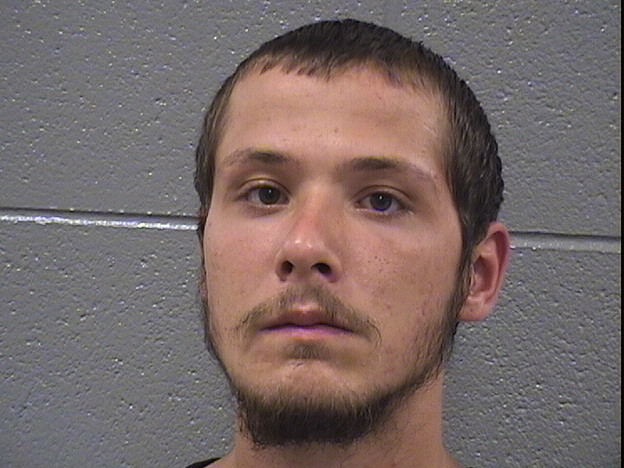 During his arrest, he listed a home address in the 2600 block of N. Hoyne. He received a sentence of 6 months court supervision. He was charged with resisting police and reckless conduct for allegedly running from cops who tried to conduct a field interview in Uptown on April 27. Mikkelson allegedly told cops that he ran because "I have several warrants." Mikkelson listed The Crib youth shelter as his home address during arrest processing. Charges were subsequently dismissed by Judge Anthony Calabrese. On May 27, Mikkelson was arrested and charged with burglary in connection with an incident in the 2800 block of Cambridge. In this case, he listed the Howard Brown Health Center in Uptown as his home. Mikkelson, who was fingered as a prime suspect in the boat burglary after his Cook County Jail release papers were found on board, remained at large as of Friday afternoon. The dispatchers who declined to send officers were following a controversial Chicago Police Department policy that states that police will not be dispatched for crimes in which no offender is on scene, no one is injured, or no major property damage has occurred. Another high-profile crime victim, the owner of a Lincoln Park boutique that lost $6,000 worth of merchandise to a shoplifting crew, voiced similar concerns about the city's policy last week. While victims of real crimes are denied a police response, the department continues to send officers to handle ridiculous calls like a man who claimed to find a "device" in his McDonald's milk shake.